Hi everyone! Today I have Kiki Hamilton, author of The Faerie Ring, here to talk about her favorite things. Here's what she has to say. Thanks so much for stopping by, Kiki! 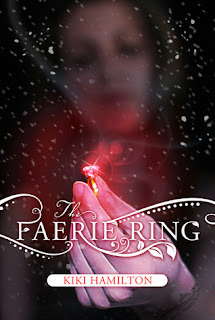 Be sure to stay tuned, because my review of The Faerie Ring will be up in just a few days. Can't wait to read this one! Love Kiki's list -- so sweet. I love that Magic is number one on the list! I just got the Faerie ring in the mail, and I can't wait to read it! Thanks so much for being part of the blog tour! !